Is Xi serious about cracking down on corruption? Editor’s note: Jamie Metzl is a Senior Fellow at the Asia Society. He served in the National Security Council and State Department during the Clinton administration. You can follow him @jamiemetzl or visit his website. The views expressed are his own. There are many signs that Chinese President Xi Jinping’s unprecedented anti-corruption drive is serious. In recent weeks, an investigation was launched into former security chief and Politburo Standing Committee member Zhou Yongkang, while former top General Xu Caihou was expelled from the Communist Party. Nearly 200,000 party members of all levels have reportedly been disciplined for corruption over the last two years. But if this top down approach is not matched by a bottom-up empowerment of the people being most harmed by China’s corruption pandemic it will have little chance of success. China’s leadership faces a crisis of confidence among the Chinese people. Endemic corruption has become the rule rather than the exception, highlighted in the social media the government is straining to contain. Downstream effects of corruption – environmental degradation, food and consumer safety lapses, massive inequality, and thwarted innovation to name a few – are suppressing the natural talents of the Chinese people and causing many of China's most capable to emigrate. Xi has promised that the anti-corruption campaign will snare “tigers” as well as “flies,” senior leaders as well as smaller fry, and he has been true to his word. Those charged include officials from all levels and associated with virtually all major factions. But because corruption is so pervasive, it’s difficult not to see political and public relations motives. When Chinese media reports critically on the vast wealth accrued by the families of former Chongqing leader Bo Xilai, Zhou Yongkang, and others, it’s easy to remember the Bloomberg and New York Times reports on the millions of dollars held by Xi’s and former Premier Wen Jiabao’s families. And no one believes that China’s government leaders, among the wealthiest in the world, are getting rich from their salaries alone. This corruption passes from the top down. Officials in senior positions receive bribes from businessmen they then use to secure their own promotions and strengthen their essential patronage networks according to qian gui ze, the “hidden rules” of the road. It doesn’t end there. Parents in schools across China are expected pay teachers to ensure fair treatment for their children, journalists require envelopes of cash for attending press conferences, doctors in public hospitals demand payment for providing care. Nearly everyone with something to offer can expect additional payments under the table. For Xi, cracking down on the likes of Zhou in the name of anti-corruption removes his most powerful rivals, demonstrates power consolidation, and is good public relations. But ultimately, corruption in China is not a cancer on the system, it is the essence of it. Xi and his team are no doubt betting that a top down approach can clean up the system enough, or at least make it look like they doing enough, to prevent the party and government from being delegitimized, while at the same time maintaining the party’s dominant role. But while it might be conceptually possible for China to address its corruption problem with a Singapore-like good governance approach if its leaders were willing to take vows of chastity and poverty, the far likelier bet is that it can’t because the party itself is the problem. As long as the party remains above the law with zero transparency or public accountability, leaders like Zhou are expelled while others have amassed far greater spoils are exempt, and Chinese citizens are sent to jail for protesting official corruption or advocating that China live up to its own constitution, that problem will remain. If, on the other hand, Xi is serious about addressing corruption, he will need to push the kinds of political reforms required to facilitate bottom-up pressure for accountability and good governance – rule of law, sunshine and disclosure legislation, a free press, conflict of interest rules, supporting non-governmental watchdog groups, empowering the public, etc. 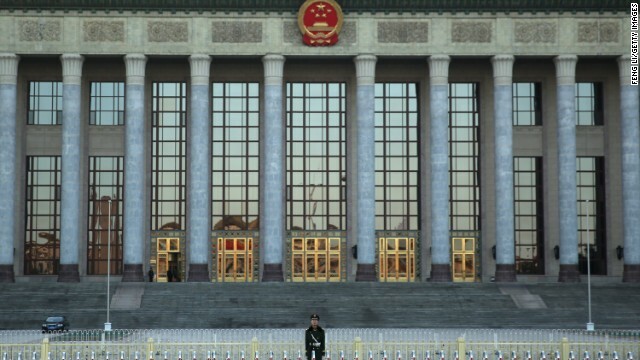 Ultimately, but not necessarily immediately, the Chinese Communist Party will need a mandate by the people conferred through meaningful elections. Although the Chinese government has delivered spectacular results in many areas over past decades, China is now at a crossroads where nearly every major problem stems ultimately from the distortions of its political system. For the country to realize its potential, these distortions must be addressed. Since taking over two years ago, Xi has moved steadily to consolidate power and isolate his rivals. Up to this point, the anti-corruption campaign can only be seen as part of this process. The big question, however, is consolidating power for what? If Xi proves to be moving strategically towards implementing the political reforms China needs to address its corruption and unlock the great potential of its people in a more open, distributed, and creative system, then the anti-corruption drive will have meaning. The announcement that the party plenum scheduled for October will address legal reform issues is a positive potential step in the right direction. But if Xi does not push for political reforms, the campaign will simply look like a risky political and public relations maneuver to get rid of rivals, an approach that won’t get China out of its morass. I hope it’s the former, but the jury is still out. Oh, dear...how very unfortunate for the distinguished leaders of China's caring government, and how nearly deplorable for the worthy people of that long-established nation! At the same time, citizens of the esteemed United States of America surely must find themselves rejoicing in the assurance that they are blessed with with a government that has not seen, and does not now see, corruption. Xi's anti-corruption campaign won't clean up the government overnight. It's the mentality of the people that need to change. In the past members of the Communist Party enjoyed all kinds of perks. Top brass of the Politburo Standing Committee, sitting or retired, enjoyed immunity from criminal prosecution. Xi may lose their loyalty, if he pushes too hard. On the other hand his campaign slogan is now under scrutiny. His citizens are watching closely whether he translate his words into action. The real culprit right now is Jiang Zemin. He controls four of the seven top seats in the filthy CCP. He tried to assassinate the last president and is completely against any changes Xi might try to apply. Jiang is also the fiend who instigated the attempted genocide of the tens of millions of innocent Falun Gong in 1999, which still continues today. This genocide consists of torture, slavery, organ harvesting and murder. This is not about corruption but a civil war in the Communist Party. Most of us wont live to see corruption, even "under control", in China. Of course, its also rampant in Africa, S. America, the Muslim/Arab countries, Russia, and just about all of the far East too. We have plenty of corruption in the US, but by comparison, it's TINY!